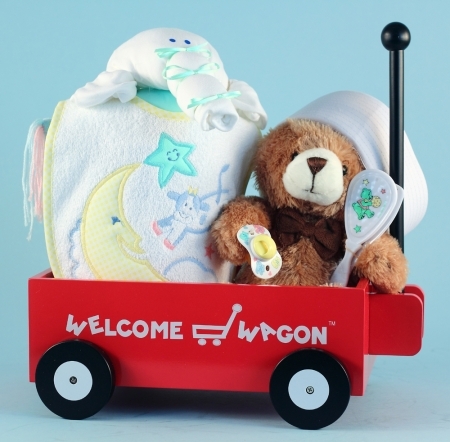 Our adorable little red "Welcome Wagon" has been a popular baby gift choice for almost 30 years! 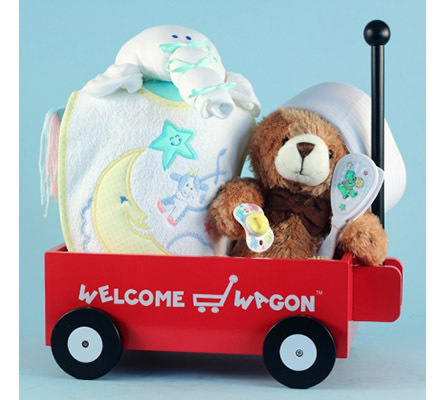 Over that period we've sold more than 100,000 baby gifts in different configurations using this classic wagon toy as the centerpiece. 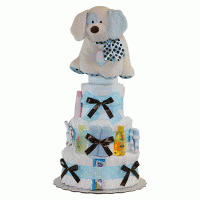 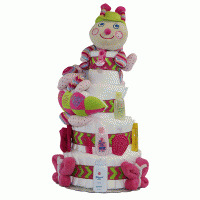 This particular model Welcome Wagon baby gift presented in gender neutral colors makes a perfect baby shower gift. 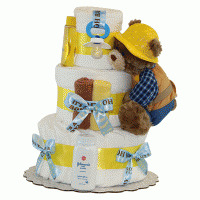 Our classic Welcome Wagon baby gift includes: signature "Welcome Wagon" embroidered terry baby bib onsie hat pacifier & rattle brush & comb set fork & spoon teething keys 10" plush teddy bear (color optional) Be sure to choose white or brown for bear color.